Robert Cury & Assoc. is pleased to announce the recent appointment as Central Agents for the 135’ 2000/08 Christensen Tri-Deck MY, ATLANTICA. This well known pedigree vessel has recently completed her ten year ABS certification and is currently enroute to the Bahamas for the summer season. She features a five stateroom layout including an on-deck master along with spacious accommodations for (11) owner’s and guests. Additional amenities include air conditioned aft deck, enormous skylounge and flybridge with circular Jacuzzi, water toys and custom hardtop. 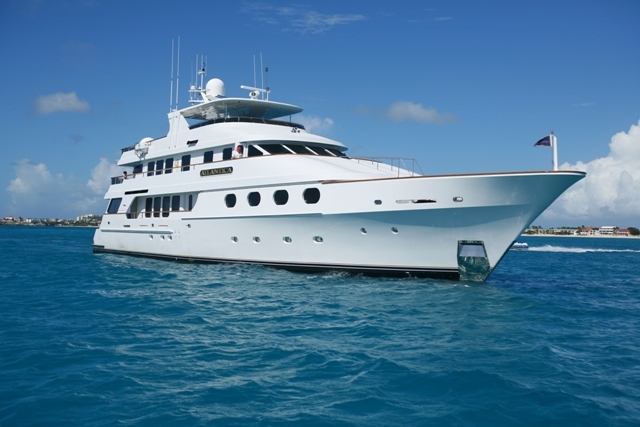 Asking price for ATLANTICA is $ 13.9m. Contact Central Agent, Bob Cury for further details. The firm also announced their appointment as Central Agents for the 114’ 1996/2010 Hatteras MY, LADY DOROTHY. This vessel recently completed a $600k refit which included new soft goods, new watermakers, new A/C system throughout. Her four stateroom layout features accommodations for nine owner’s and guest to include King master with his and her bath. 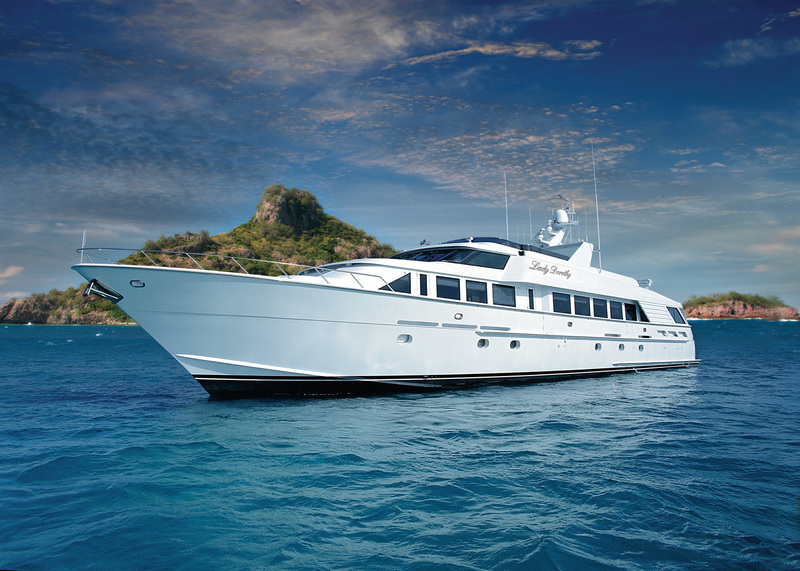 Additional amenities include large main / dining salon, gourmet galley and air conditioned aft deck. In addition her oversized flybridge features Jacuzzi, wet bar, bbq grill and water toys. Currently located in Ft. Lauderdale, FL until sold. Asking price for LADY DOROTHY is $ 3.295m. Contact Central Agent, Bob Cury, for further details.